Earlier in the day at the Jagmandir Mahal, Udaipur, we were shooting under the bright sun and in the garden. Then later in the evening, we were shooting under the blissful moon lit space. Totally a contrasting experience it is, and that is how it is. As a wedding photographer one has to be ready to merge with the environment and work flexibly. 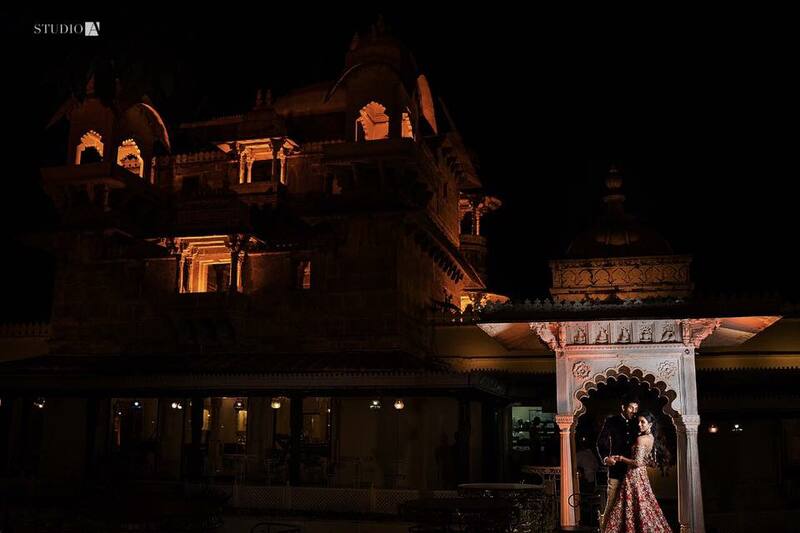 I wanted to bring in the beauty of the Mahal, at the same time cast the attention to the couple. I used one Godox speed light on a SMDV softbox as the main light and another Godox on a magmod as the back light to separate them. Loved the output.